New York production company Picture Farm and Australian writer/director Kess Broekman-Dattner have partnered with Kenya-based research and conservations organization Save the Elephants to launch a new short film to inspire a deeper, more personal connection to wildlife preservation and its impact on humankind. Save the Elephants is a nonprofit whose mission is to secure a future for elephants and to sustain the beauty and ecological integrity of the places they live; to promote man’s delight in their intelligence and the diversity of their world; and to develop a tolerant relationship between the two species. The video, produced by global production and post production company Picture Farm, uncovers the heart of the beauty and grandeur of nature that Save the Elephants strives to maintain, painted against the backdrop of some of New York City’s most iconic locations. 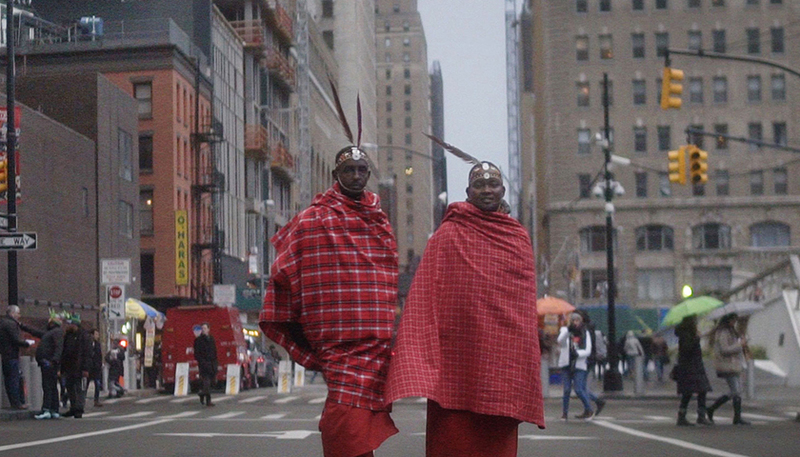 The juxtaposition of two Samburu warriors from the heart of the African bush in Northern Kenya in their native attire against the bustle and coldness of a concrete jungle, crafted by director Kess Broekman-Dattner, creates a peaceful portrait of natural beauty dropped into an urbanized, human-constructed environment. A cinematic score by Ryan Teague provides a graceful and tranquil undertone to the impactful film. The film captures the two Samburu warriors, Benjamin Loloju (pictured right) from Save The Elephants and Letoiye Serenoy from Elephant Watch Camp in Samburu National Reserve on their first ever voyage outside of Kenya. Both warriors grew up in Samburu surrounded by elephants and now use their expertise and knowledge to protect them. When Melbourne-born Broekman-Dattner first came to New York, he was immediately struck by the lack of connection to nature amidst the dynamic energy and history of the city. With this film, he casts the Save the Elephants ambassadors as messengers of nature, bringing their serene spirits to the big city to reconnect those who have perhaps lost touch with natural world’s unparalleled grace and abundance. The piece is created in hopes of reminding audiences, whether in urban or rural environments, to appreciate nature and help preserve and retain its ecological splendor.